The Army Ordnance Corps celebrated its 241th Corps Day on 08 Apr 2016 in the Northern Command theatre. In his message to Army Ordnance Corps, Lt Gen DS Hooda, General Officer Commanding-in-Chief (Army Commander) extended his greetings to all ranks, civilians and families of the Corps. The Army Commander lauded the undaunted dedication and professionalism of the AOC personnel and the civilian staff members of the Corps who have ensured excellent material support to the Northern Army. In its glorious history of 241 years the Ordnance Corps has not only effectively managed a large inventory providing material support to the Field Army across a wide spectrum of conflict situations, but has also produced valiant soldiers who have defended the nation and has earned glory in war. The motto of the Corps “Shastra Se Shakti” adopted in February 1978 is a close derivative of their motto of 1806 “Sua Tela Tonanti” which means, “To The Thundered His Arms”. 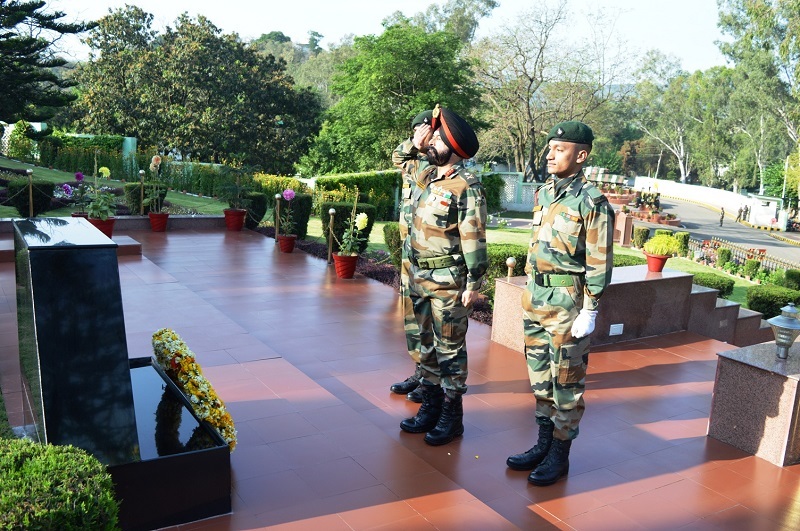 The milestone occasion was marked by the wreath laying at Dhruva War Memorial the senior most AOC officer in the command theatre. Over the last two and a quarter century, the magnitude of responsibility of the Corps has under gone a total metamorphosis and today it is a dynamic Corps providing vital logistic backup to the Indian Army meeting all its requirement of Ammunition, Missiles, Vehicles, Clothing and Equipment besides spares support. The Corps has constantly endeavoured to keep pace with modern inventory management techniques and automation for efficiently managing the huge inventory of stores. The Corps was raised with the creation of ‘Board of Ordnance’ on 08 Apr 1775. The establishment of this board was the first real attempt at organizing due effective control over military expenditure with a systematic distribution of Ordnance equipment and military stores to the troops of the John company popularly known as the East India Company.